Barcelona eyeing January move for Chelsea title winning defender? 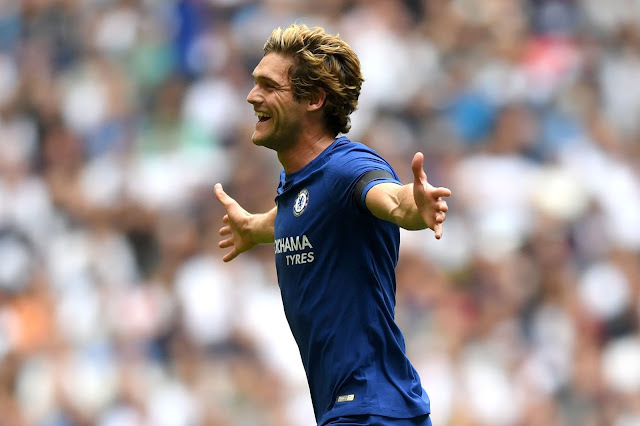 According to various press reports, Barcelona boss Ernesto Valverde is considering an approach in January to try and sign Chelsea wing back Marcos Alonso just eighteen months after he joined the blues. I have to be honest here, not many eyebrows were raised when he signed for the club after having two mediocre attempts at Premier League football with Bolton and Sunderland. Many people were under the impression that he wasn't someone of the calibre we would be looking to come into our club. Whether that is obnoxious or arrogant I am not sure but how wrong were those who thought the the same about him. It was while in Italy playing for Fiorentina that he really caught the eye of Antonio Conte with his performances down their left hand side. At the time he was someone who liked to push forward from deep and although maybe not the best defensively, his use of the ball in attacking areas was impressive. So to Chelsea and his performances last season, one word - outstanding! He came into the side and took his time to settle into his role. Once the famous tactical change was made by the manager after the two defeats in a row to Liverpool at home, followed by Arsenal away, he really came to prominence. It's strange really because he looks quite laboured in his approach but he isn't. He has plenty of stamina to get up and down that left hand side and his leggy style moves him at pace. OK, granted he could do with some more work on the defensive side of his game but playing in our formation he is more than capable dealing with his responsibilities in his role knowing that he has Gary Cahill behind him who would move out to the left hand side to cover. However, as I have already stated, it's his use of the ball in attacking areas that is really, really good. He is calm and composed, he can pick a pass whether it's the killer ball we are looking for in the final third, or a long ball to the opposite side of the pitch. We have seen ever since he arrived that he isn't afraid of getting forward looking to get on the end of things making runs into the box or to hold back on the edge of the area to pick up any knock-downs. 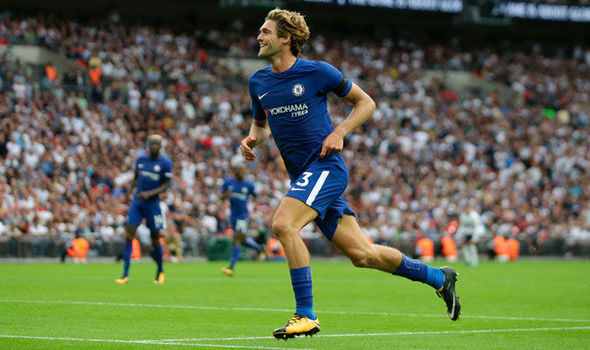 He has scored six goals so far for Chelsea with two coming this season against Tottenham at Wembley. His run off the ball into the box to score our winner perfectly demonstrates his stamina, his willingness to get forward and his finishing abilities, just look at his involvement in Michy Batshuayi's winner against Atletico as another. You then add to that his ability to hit a free-kick as he did that day at Wembley and you realise just what a bargain he has proven to be. I am not surprised at the reported interest from Barcelona but I am sure that Chelsea will do everything they can to resist any official approach because they know just how important to our formation he has become. 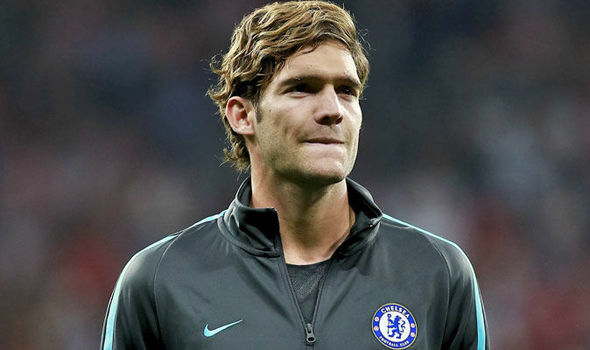 Marcos Alonso has been outstanding since he came to our club and long may it continue!